At Ryson Real Estate & Vacation Rentals, we take pride in every one of our vacation rentals and the standard of excellence they provide for our guests. 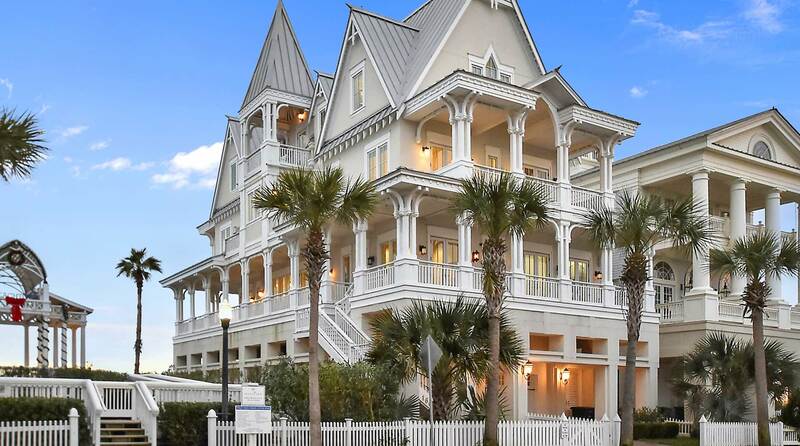 However, we also offer an exclusive selection of high-end luxury vacation rental homes in Galveston that add an extra special touch to your stay, from unbeatable locations with breathtaking views to deluxe private amenities you won’t find in any hotel, resort, or basic vacation rental. See our Galveston luxury vacation homes for yourself by clicking on the properties below! Each of our luxury vacation homes in Galveston, TX brings something unique to the table in terms of your vacation experience, with a variety of custom amenities designed to make your stay above and beyond typical hospitality standards of comfort. Three story homes with gorgeous classical style columns, private elevators, 6 bedroom villas, community and private pools and hot tubs, fishing lights for nighttime fishing right outside your door—these are just a few of the many examples of the type of custom luxury amenities that characterize our luxury vacation homes in Galveston TX. Within our luxury vacation homes in Galveston TX, you and your guests will encounter features such as luxe furnishings, high end appliances, roomy custom countertops, cutting edge flat screen televisions, and vast open floor plans that ensure you and your guests have all of the space, privacy, and pampering luxuries that take your vacation from fantastic to unforgettable. Soak up expansive waterfront views from the living room or dining room, or take it all in from breezy porches and balconies. Walk down to the beach that is right outside of your vacation rental or launch off into the bay from the attached private dock. Your opportunities for exciting activities are endless when you stay with Ryson Real Estate & Vacation Rentals. However you fill your days on Galveston Island, our luxury vacation homes in Galveston, TX will serve as a picture perfect home away from home during your time here. For more details on the myriad of attractions and recreation that you and your guests can enjoy in Galveston, call or email our representatives at Ryson Real Estate & Vacation Rentals and ask about booking your stay in one of our spectacular Galveston luxury vacation homes today!